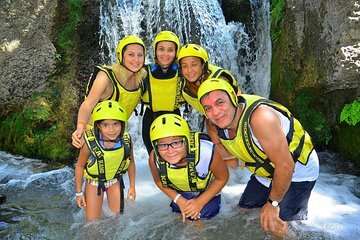 Go white water rafting in Koprulu Canyon on a full-day, family-friendly tour from Kemer that combines adventurous rapids with laid-back time by the river. You’ll cover 8.5 miles (14 km.) of river with an experienced river guide to steer the boat safely through the white water rapids, eat lunch in the shade of cyprus trees, then enjoy free time to explore Koprulu Canyon National Park before returning to Kemer.